NOTE: Due to inclement weather, the Ken Paxton event for Chairman's Circle members has been moved to Wednesday, Jan. 24. We apologize for any inconvenience, but the bright side is that the deadline for registration has been extended to Monday, Jan. 22! Let us know ASAP if you would like to join and attend. Become a Chairman's Circle member and join us JAN. 24 as we host the first of 4 exclusive Chairman's Circle events in 2018. 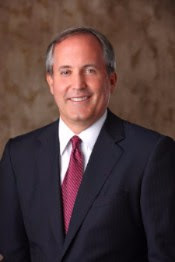 We'll kick the year off with a limited space, private dinner featuring Attorney General Ken Paxton. Interested? As a 2018 inaugural participant, you'll be part of Travis County's most exclusive Republican donor club, ideal for industry leaders, elected officials, and the most dedicated activists who want the best networking opportunities and enjoy one-on-one time with those who advance Republican principles in both Travis County and across Texas. Contact Chairman Matt Mackowiak (512-423-6116 or chair@travisgop.com) or Finance Chairwoman Cornelia Foster Wood (corneliafoster@msn.com). Join The Chairman's Circle by Jan. 9 for the opportunity to attend this very special event. Event details provided upon enrollment.